Paris Saint-Germain coach Unai Emery remains optimistic that superstar Neymar will be fit to face Real Madrid in their do-or-die Champions League clash despite suffering an ankle injury in Sunday's 3-0 victory over Marseille. 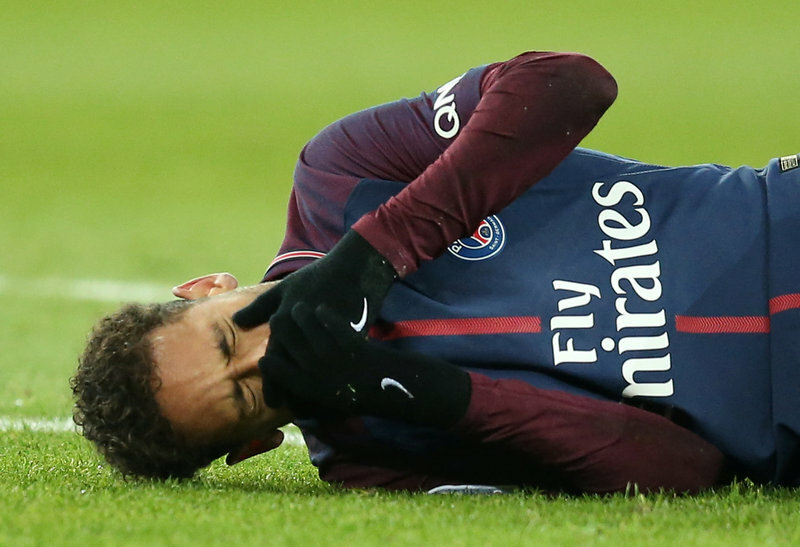 Neymar, the world's most expensive footballer, was stretchered off 10 minutes from time at the Parc des Princes as PSG opened up a 14-point lead in Ligue 1. "The first examination in the locker room revealed that it was a twist to the ankle. Now we will do a medical examination to find out what this twist is," said Emery, whose team face Real at home on March 6 in the Champions League last 16 where they need to overturn a 3-1 deficit. "We will wait for the examination, we will be optimistic. If I had to say today (whether or not he will face Real) I would rather say yes to being optimistic." PSG skipper Thiago Silva told Canal+ added: "Neymar already had a swollen ankle. I'm not a doctor, but I don't think he'll be available on Wednesday (when PSG face Marseille again in the French Cup). He has to rest."